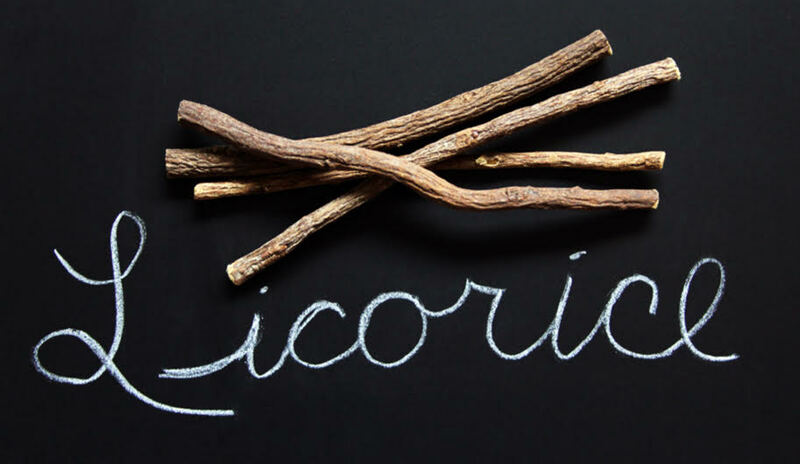 Licorice is one of the most widely used herbs and its history dates back thousands of years; the Egyptians, Ancient Greeks and Romans all adored it. If you are looking to obtain this wonderful herb, I would like to suggest my two favorite places: Starwest Botanicals and Buddha Teas. Both places are very well known and respected. They offer a wide variety of choices and their products are high quality, which is essential for good results. Before you see the products, take a look at all of licorice’s benefits. There’s a chemical in licorice that makes it so beneficial and it’s called glycyrrhetinic acid (GA). Much of the medicinal value of licorice lies in this remarkable chemical. And the list goes on and on and on; not to mention you can add it to other herbal teas to improve flavor and for additional health benefits. You can see why so many people love licorice. Starwest started out as a smaller retailer in California over 45 years ago. They had a reputation for selling high quality herbs at an affordable price; this sparked their growth. Today they have a modern 100,000 square foot warehouse and production space where they store millions of pounds of herbs. Let’s take a look at what they offer now. 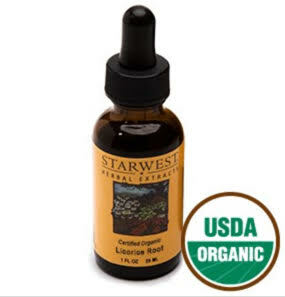 An extract is a really convenient and easy way to get licorice’s many benefits. Personally, this is my favorite way to take all herbs. This extract is USDA Certified Organic which means all ingredients were grown and harvested in the most ideal environment possible. Also, it was grown on unpolluted lands with no chemical fertilizers. To use, put 10 to 20 drops in water or juice a few times a day. It’s as simple as that! 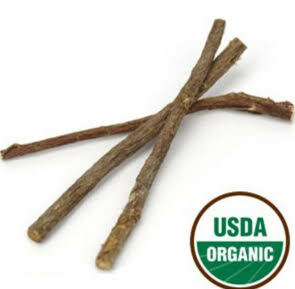 This is another USDA Certified Organic licorice product from Starwest. The powder may be the preparation that treats the most problems. You can make it into a tea, sprinkle on wounds to prevent infections and gargle for gingivitis, tooth decay and canker sores. This takes a little more effort to use than the extract. To make a tea or gargle, boil 1/2 teaspoons of the powdered root in a cup of boiling water for 10 minutes (strain if you wish). You can drink up to 2 cups a day. This another preparation loaded with health benefits and is certified organic. Like the last product, it takes a little effort to use but worth it if you love making herbal teas. You’ll have to boil the root a little longer than the powder because it’s a little tougher. You can add it to other herbal teas for taste and medicinal value too. This is the last licorice product offered by Starwest. Like every other product, it’s USDA Certified Organic. There’s a few things you can do with the sticks. Many people have quit smoking by chewing on them through out the day, while others use it to stir their teas to sweeten them. Buddha Teas is my favorite place to buy herbal tea bags. They are an eco-conscious company that replaces every tree they use making their tea bags. Chemicals aren’t a part of their tea making process and everything is USDA Certified Organic. Plus the price is really fair too. Each box contains 18 tea bags and when you do the math, it comes out to around 35 cents per cup of tea. Making is really simple too. All you need to do is add 1 tea bag to a boiling cup of water, cover and steep for 3 to 6 minutes. After, take the tea bag out and enjoy. Free shipping on orders over $50 too. Licorice is safe when taken in recommended dosages. Some reckless individuals went over board and ate pounds of licorice everyday for weeks and ended up in the hospital. Another person ate 4 ounces of licorice a day for 7 years and eventually needed medical assistance. These are extremely rare cases of excess and you shouldn’t fear licorice because of them. Chances are, if you are in normal health and use licorice intelligently, you won’t run into any problems. Oh, licorice candy almost never contains actual licorice. I hope so! This is a great herb that has a long and impressive history. Today, it gets a lot of use and can be found in medicine cabinets around the world. If you are serious about quality, you should give Starwest Botanicals and Buddha Teas a try. Remember, the better quality the herbs, the better the results. You won’t find better than these two options. If you have any further questions, comment below and I’ll make sure to answer as fast as possible. 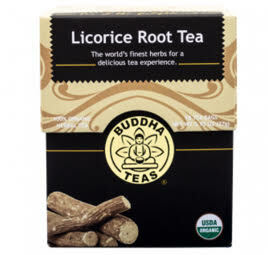 Also, if you want to spread the message about licorice and herbs, share on social media for friends and family to see.